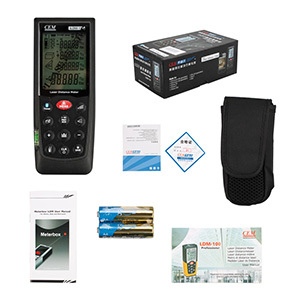 These professional Laser Distance Meters are designed to give special users a high accuracy, one person distance measuring and estimating tool to measure remote and difficult reaching places. The compact and handy base model was specifically designed for indoor applications. Shortcut keys for addition, ubtraction, Pythagoras, area and volume calculation make measuring fast and very reliable. The last 20 measurements are also stored. Categories: Meteran, Meteran Laser Digital. Tags: #margasetia_alat_survey, Jual alat survey, Jual automatic level, Jual Meteran, Jual meteran roll, Jual theodolite, Jual total station, Jual waterpass.